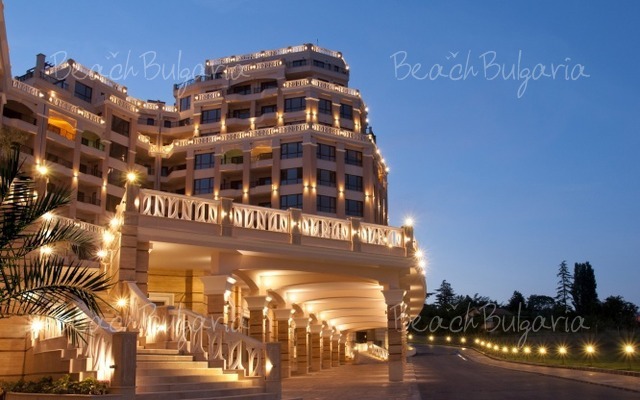 Cabacum Beach Residence Hotel is located 300 metres from Cabacum beach in Chaika resort. 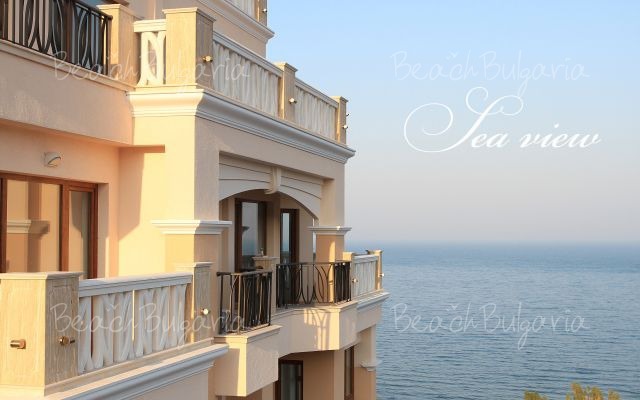 The complex offers spacious apartments with a beautiful Black sea view. 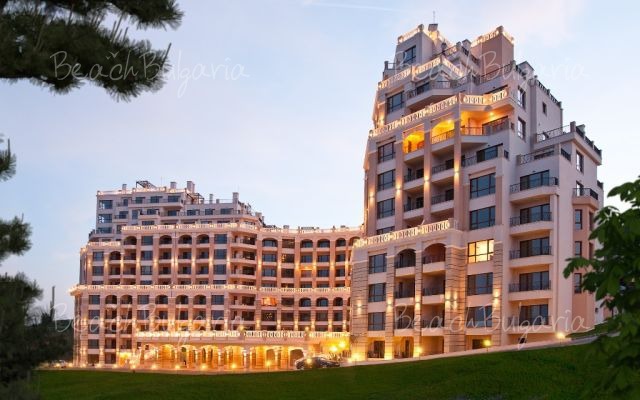 The complex offers 195 luxury apartments with a picturesque sea view. 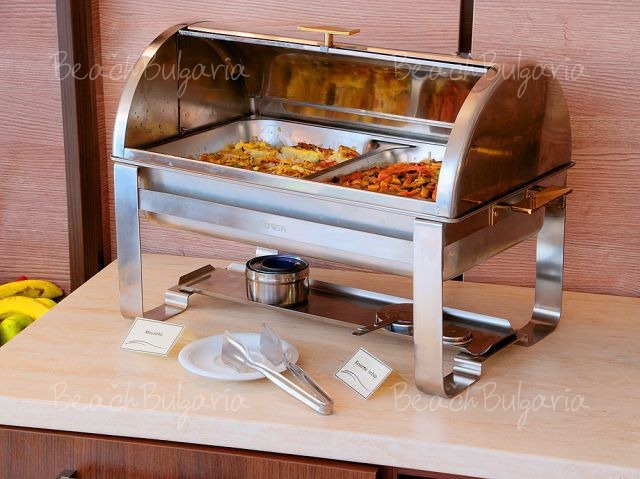 Each apartment fully furnished kitchenette with a refrigerator, a microwave oven, a coffee-machine, a toaster. 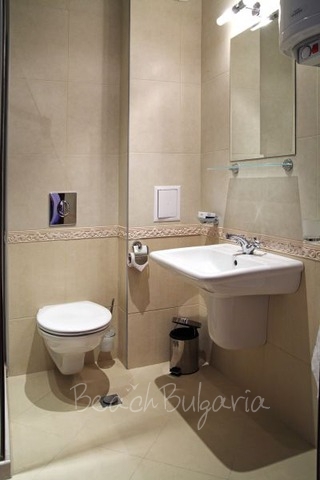 The apartment also offer TV set with cable television, Internet access, telephone, air conditioning ans a bathroom with a shower/WC. 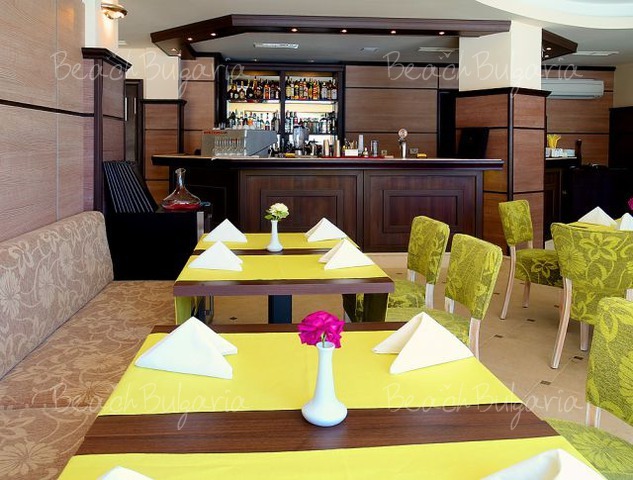 Cabacum Beach offers a cosy restaurant on a sunny terrace and a romantic sea view. 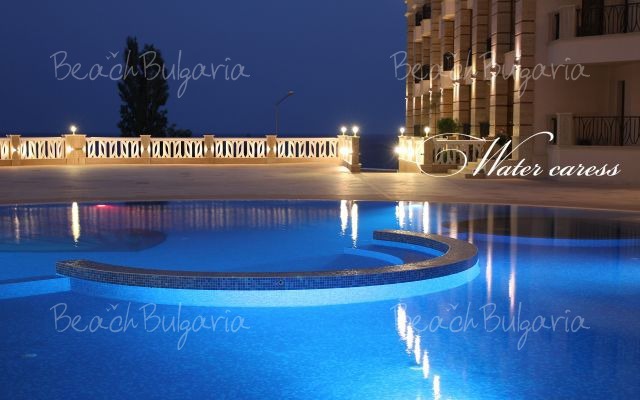 The hotel offers a special VIP zone on Cabacum Beach, as well as an open-air swimming pool. Various sport activities can be practiced at the multifunctional playground of the complex, suitable for tennis, mini football, basketball and volleyball. A children’s playground is also available next to the hotel. 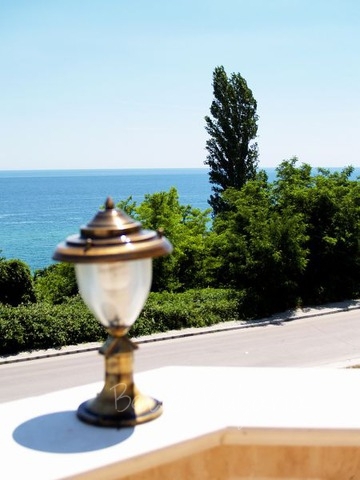 Transport services, Rent-a-car, Rent-a-bike, internet access are provied at the hotel. 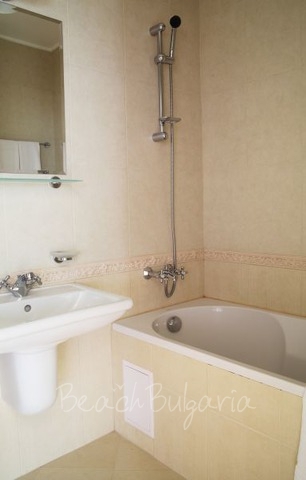 * The rates are in Euro per apartment per night with breakfast included. 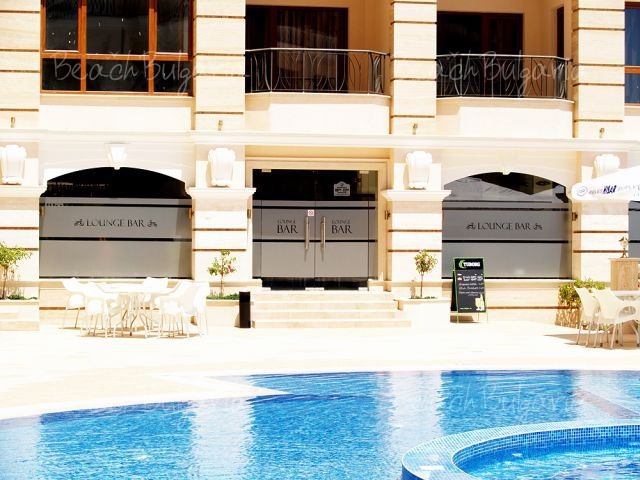 Guests of the hotel can use swimming pool, sunbeds and sunshades for free. * Maximum capacity: Studio - 2 adults + 1 child; 1-bedroom apartment: 2 adults + 2 children or 3 adlults; 2-bedroom apartment - 4 adults + 2 children or 5 adults; 3-bedroom apartment - 6 adults + 2 children or 7 adults. * Cancellations can be made free of charge providing details of this are received at least 10 days prior to check-in time on the day of arrival and 14 days during 06 July - 31 August 2018 - cancellations made after this period will incur a fee equivalent to the cost of two night's accommodation. 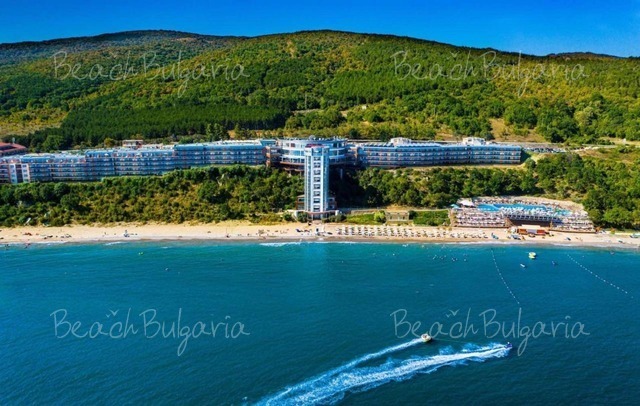 Please, post a comment on Cabacum Beach Hotel.